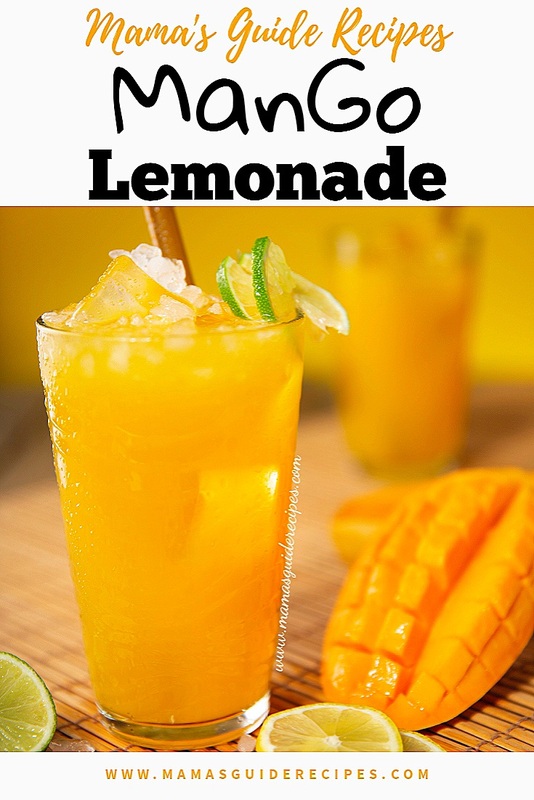 Easy and simple recipe for a refreshing homemade mango lemonade or limeade made with sweet ripe mangoes, lemon or lime juice, sugar/honey, water, and ice. Using a blender, add the mango chunks with the lemon or lime juice, sugar or honey, 2 cups of water and a few ice cubes. Blend all together until you get a smooth mixture. Use a strainer to separate some mango fibers or pulp. Pour in the rest of the water. Adjust sweetness by adding more sugar/honey as desired. Serve with lots of ice cubes and garnish with fresh mint and a slice of lemon. Serve and enjoy!